Site 4 in the above map drawing will be the future home to a 280,000gsf building, and Site 5, next to Russ Berrie, will be another academic research building with appx. 237,000 gsf. Lately the news has been full of New York City's plans to be the next great biotech hub in the US. Columbia University Medical Center anticipated that growth by almost 30 years when it began to build its biomedical research park to supply the structure and organization to facilitate developments in biotechnology that will ensure improved health care, while contributing to economic growth through the creation of private sector research collaborations and the generation of new biomedically related business. CUMC has over 4 million sf of space and is home to more than 4,000 faculty and research scientists. In addition to the research park facilities, Columbia University Medical Center began construction on a new home for the Columbia University School of Nursing in 2014. The seven-story structure is being built on existing Columbia property on the corner of W. 168th Street and Audubon Avenue (at the east end of the CUMC campus). Completion is expected in 2018. 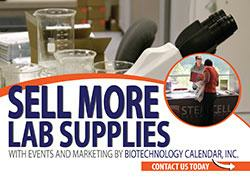 Biotechnology Calendar, Inc. is a science research marketing and event-planning company that organizes university trade shows nationwide. If you are a science researcher or lab supplier interested in networking at Columbia University Medical Center, our 6th Annual Armory Track & Field Center event (adjacent to Columbia University Medical Center) will be held on Monday, September 29, 2016. Our shows are catered, casually professional, and always enlightening. In addition to our Armory show, we hold two other events in New York in the fall. See our full 2016 Nationwide Show Schedule for all other dates.